It is true that you learn a lot of things from driving lessons. However, there is some information that your teacher won’t be able to cover. As such, we’ve put together some useful tips that will guide you as a beginner car owner. Whether you shopped for brand new vehicles or used cars from Japan, the following information will certainly be helpful for you. When you do not know the year your car was manufactured, its make, and the specific model, you might make wrong decisions in choosing fluids, parts, and accessories. Keep in mind that all the items needed for maintenance and repairs depend on your car’s year, make, and model. So, it is essential that you have those details memorized. The VIN is somehow like the fingerprint of your car which identifies your car’s manufacture location, date, model, make and engine size. It would be easier for you to get all you need from mechanics and insurance companies when you know what it is. To locate your VIN, stand outside the car by the driver’s side and look at the corner of the dashboard where it meets the windshield. It is always best to read your car manual to know when you should rotate your tires, change your oil, check your fluids and when to perform other maintenance procedures. The recommended schedule varies from car to car. Having the right tire pressure is one of the safety measures you can take. You wouldn’t want your tires to get flat or blown out when you are in the middle of nowhere! Yellow – Check this as soon as possible. Red – This needs immediate attention. Seek professional help. There are ‘right’ and ‘wrong’ ways to drive. If you want to keep your vehicle running smoothly for a long time, you should follow some best driving practices. For instance, you can enjoy better fuel efficiency when you avoid alternating between accelerating and braking. Instead, you should keep your car running at a smooth pace. It is not always sunny and calm. So, it is important for you to learn how to drive in harsh conditions like heavy rain. If it snows in your location, you should also learn some survival manoeuvres like turning out of a skid. You should always keep your brakes in good condition to ensure the safety of your drives. That said, you should always be conscious about the feel of your brakes. In this way, you will be able to recognize when they’re starting to wear out or feel spongey. Even before your car starts to break down, you should find a mechanic you can trust. It would be best to choose an auto shop that’s near your home or office. In this way, you can quickly drive your vehicle to the service center at the early signs of trouble. You wouldn’t want to be pressed for time when choosing a mechanic. So, make sure you check out different shops by bringing your car in for routine maintenance. 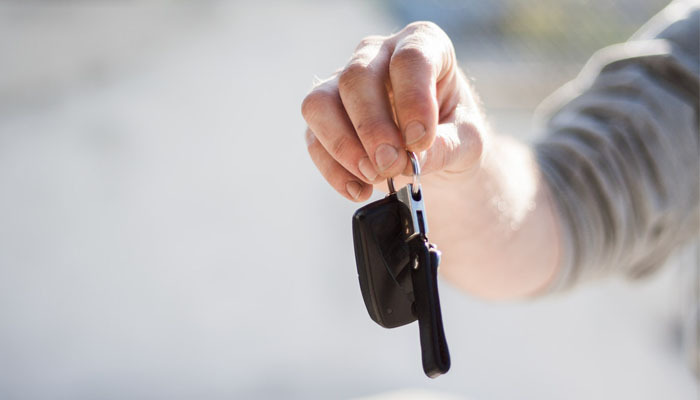 So, there you have it… 9 tips that will guide you as a beginner car owner. Make sure you keep this article handy when you buy used cars from Japan!